Spring comes earlier at Arabia Mountain. What kind of plants can we see? What’s a good trail for first-time hikers? You can start your hike at the Nature Center and follow the Forest Trail. 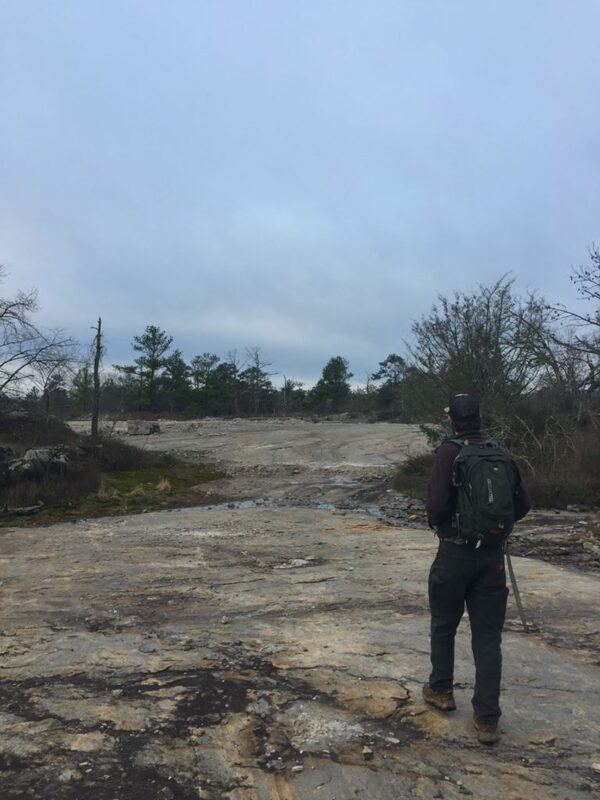 “In a sense, if you start at the Forest Trail and connect to the Mile Rock Trail, and make a loop, you kinda get to see everything the park offers – and that’s forest, granite outcrops, you’ll see ruins that speak to the industrial history of this place (being a quarry), and you’ll see lakes and streams and wetlands,” he said. 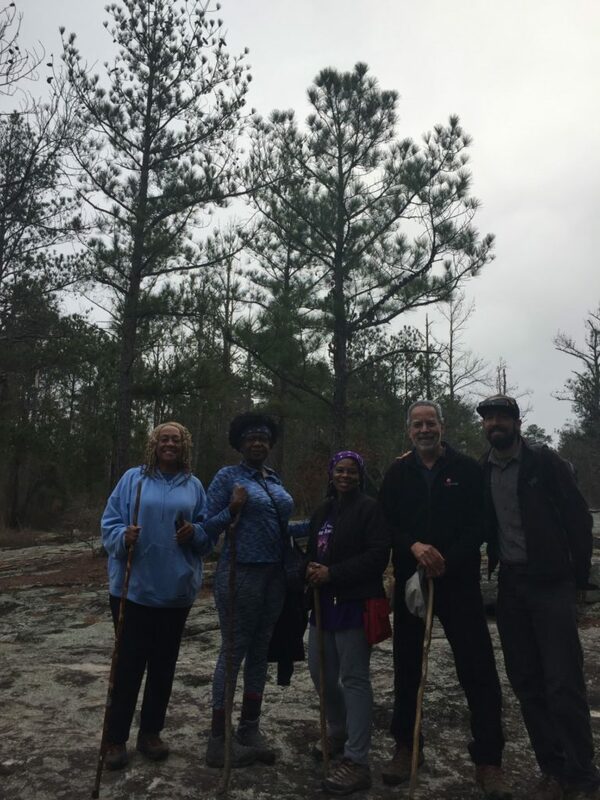 It’s a good taste of the many different habitats found within Davidson-Arabia Mountain Nature Preserve. Robby added, “Of course, I can’t answer this question without saying go to the top of the mountain, and that’s the Mountaintop Trail.” A short, twenty-minute hike gets you to an incredible view. 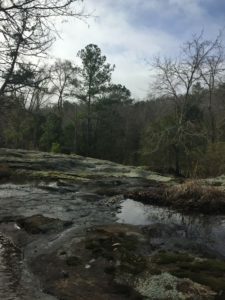 Click here for a map of all Davidson-Arabia Mountain Nature Preserve trails. 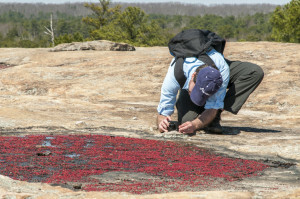 The habitats of Arabia Mountain are beautiful – and fragile. As you enjoy the nature preserve, be sure to tread lightly and leave nothing behind. Do not disturb puddles, sandpits, rock piles or any other part of the rock face – in short, do not disturb the wildlife and ecosystems that keep the nature preserve so vibrant. Learn guidelines for good hiking and photography here.